Some tools can be used pretty much every day, while others are more specialized, but when they are needed, there isn’t really any substitute. 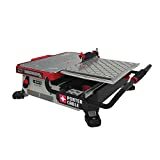 A tile saw is in the second category—unless you’re a contractor, chances are you won’t need to use one on a daily basis, but if you are a professional or someone who does a lot of home improvement projects for yourself and family and friends, it’s an essential tool for trimming down a lot of tile quickly. Of course, once people find out about your prowess when it comes to such projects, you’ll probably get a lot more work, so you’ll probably need a great tile saw anyway. This guide will help you find one. Wet: Wet saws utilize water to cool the blade down, allowing the user to get the job done more quickly and easily. Material-specific: While many tile saws are designed to work on a variety of tile types, some are specially-designed to give users best results when working with ceramic, stone, and other types of materials. Portable: Good portable saws have the cutting power of traditional saws, but are lightweight and easy to bring around. Power: This should come as no surprise—if a person spends money on a tool, he or she expects that it will have enough power to get a variety of jobs done. The best saws do just that, making quick work of even large piles of thick, hard tiles. Alignment: In order to make straight, consistent cuts, the user needs to be able to line up the blade reliably. Great saws are easy to align and, just as importantly, stay aligned throughout the job. 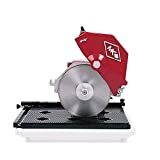 Blade: A saw is only as good (and durable) as its blade, which is why the best tile saws come with blades that do an excellent job straight out of the box and keep going strong even after repeated use and abuse. Size: When looking at saws online, be sure to look at how big a work surface they offer. 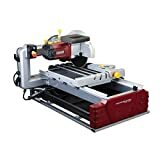 In some cases the surface can be expanded a bit, but for best results, find a model that comes equipped with a cutting surface big enough to handle your standard jobs. Horsepower: Depending on the model, horsepower is interchangeable with voltage or some other measurement. In any case, be sure to look for a tile saw that generates enough power to get you through the job. Flexibility: Just about every saw on the market has parts that can be moved around to best handle particular jobs (for instance, blade alignment). 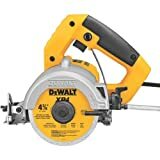 When researching tile saws for purchase, think about the kinds of jobs you do and the kinds of things you would need to adjust on the saw, and purchase accordingly. Skil: Skil is an American tool manufacturer. Founded in 1924, Skil has been producing power saws since its beginning. Today, the company produces and sells a wide range of tools for just about every job. MK Diamond: MK Diamond is an American company that has been producing saws and abrasive products for stonework and other materials since 1868. QEP: QEP specializes in products for working with tile, stone and porcelain. Founded in 1979, the company offers an impressive array of tools and safety equipment for professionals and home improvement enthusiasts alike. 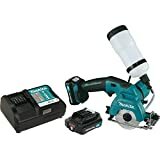 Bosch: Bosch is a German company that has been making high-quality power tools for over a century. Originally founded in 1886 (and later renamed Bosch), the company offers excellent power tools and accessories for every job.